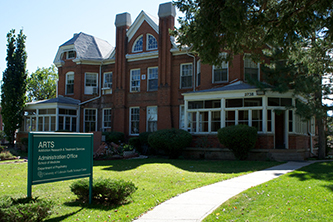 Addiction Research and Treatment Services (ARTS) is the clinical program of the Division of Substance Dependence, Department of Psychiatry at the University of Colorado, School of Medicine. ARTS was developed in 1972 by founder, Tom Brewster, in response to burgeoning prevalence rates of alcohol and drug abuse and addiction among the general adolescent and adult populations. Over the last 40 years, ARTS has focused on delivering cost-effective treatment to individuals who have the most severe and chronic substance abuse disorders. Individuals receiving services benefit in many ways, including enhanced employability and productivity, increased family stability, improved social relationships, strengthened parenting skills and healthier children, reduced criminality, and diminished risk of HIV infection and other alcohol and drug-related medical problems. ARTS is dedicated to improving lives through prevention, education and treatment. To learn more about ARTS achievements, please click here for our Annual Reports.